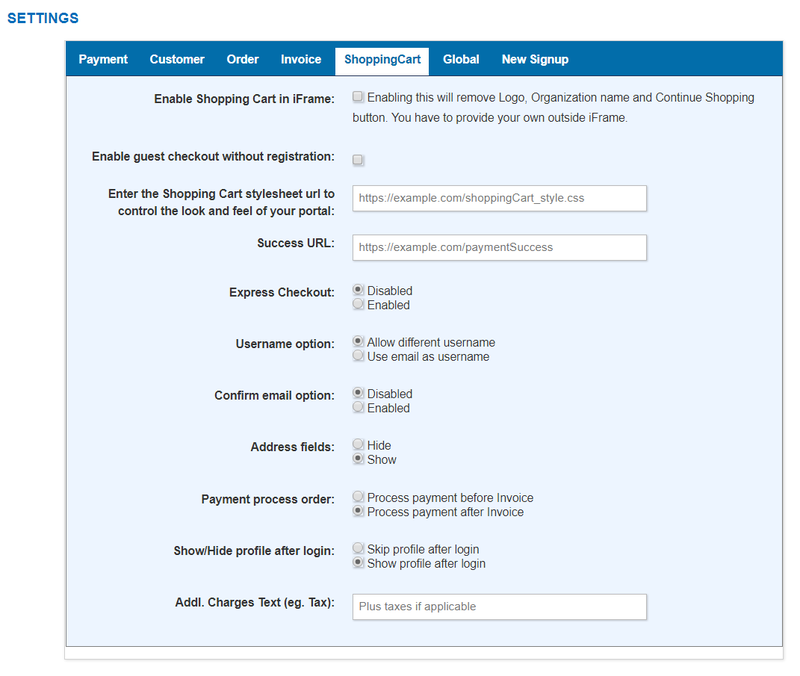 "For the shopping cart to be enabled, there are a few configurations that has to be done from the Blubilling Application. Below are the steps to be followed to enable this. 1. Log Into Blubilling and on the Menu Bar Goto>Plans>Plans and Charges. 2. 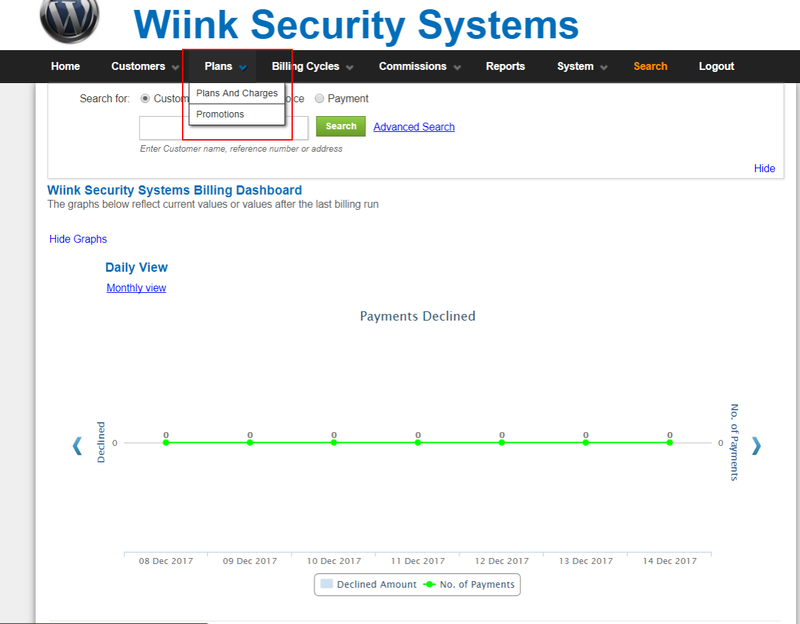 On the Plans and Charges page, select the plan for which you want to have the Add to Cart button on your webpage and Click Edit. Click on Generate (Add to Cart) Code. This generates a HTML code for embedding this button inside your website to enable customers to buy this subscription or product. 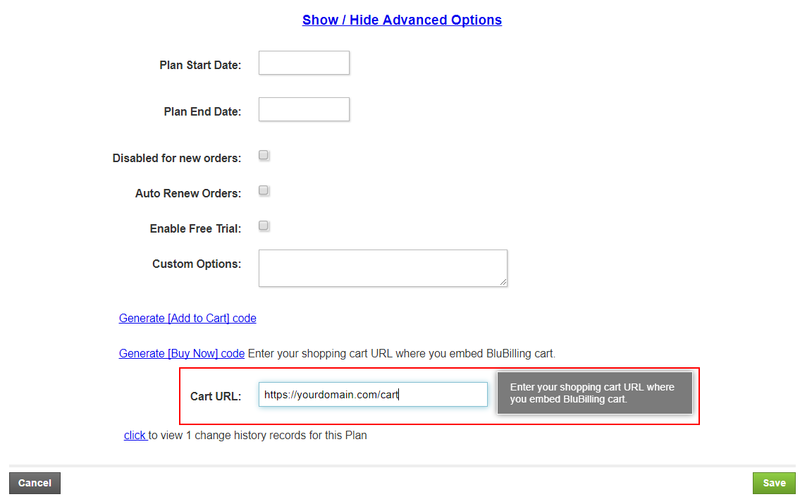 You also can Generate a Buy Now button which will take your customer directly to the Cart page. After generating the code for the button to be inserted on to your webpage, click on Save. The button created now can be placed on the client's website for the products/subscriptions to be purchased through the webpage. Note: All the product description is generated on the client's website and BluSynergy will enable the shopping cart functionality which will help the client to place the product in the cart, 'place order' and 'submit order'. 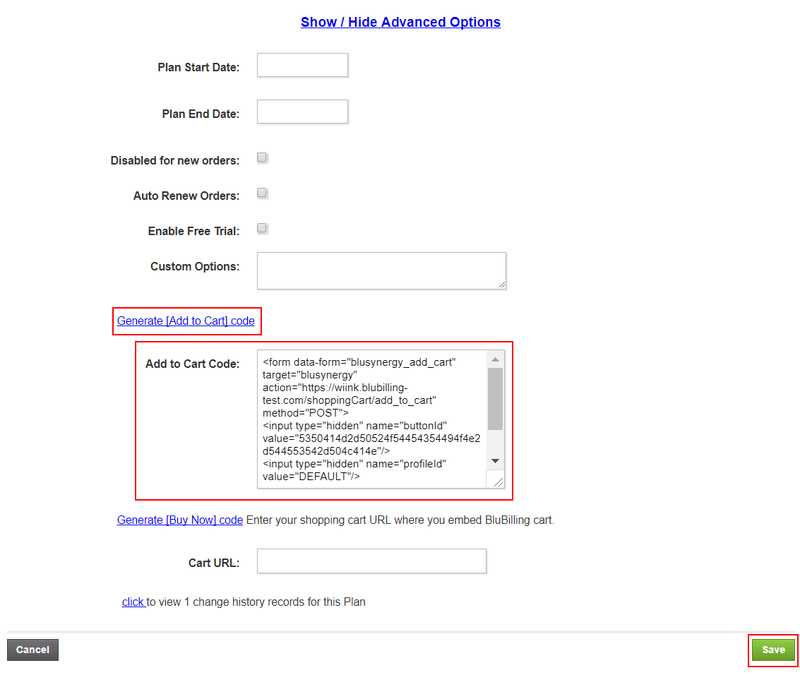 Goto Shopping Cart tab and enable the below option if you would like to use the Shopping cart module as an iframe on your web page. Success URL: This field will enable you to enter the URL to which you want your customers redirected to after the payment is completed. No - This option will have Cart and Signup on different screens. No - This will save email ID of your customer by default as their username. 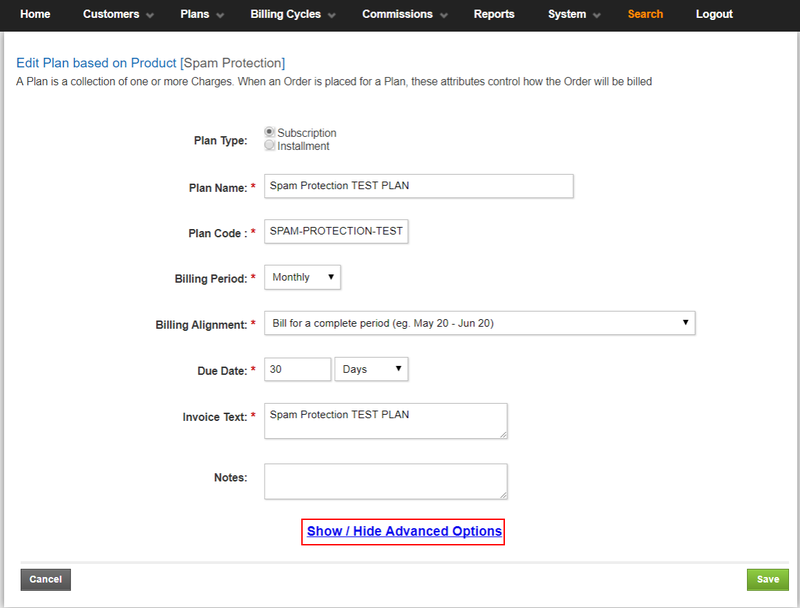 This option will insert another field (below email) asking your customers to confirm their email ID again. This option will ask your customers to enter their address or not if this is enabled or disabled respectively. This option will enable your customer to skip or allow them to update their profile information before proceeding towards payment page. 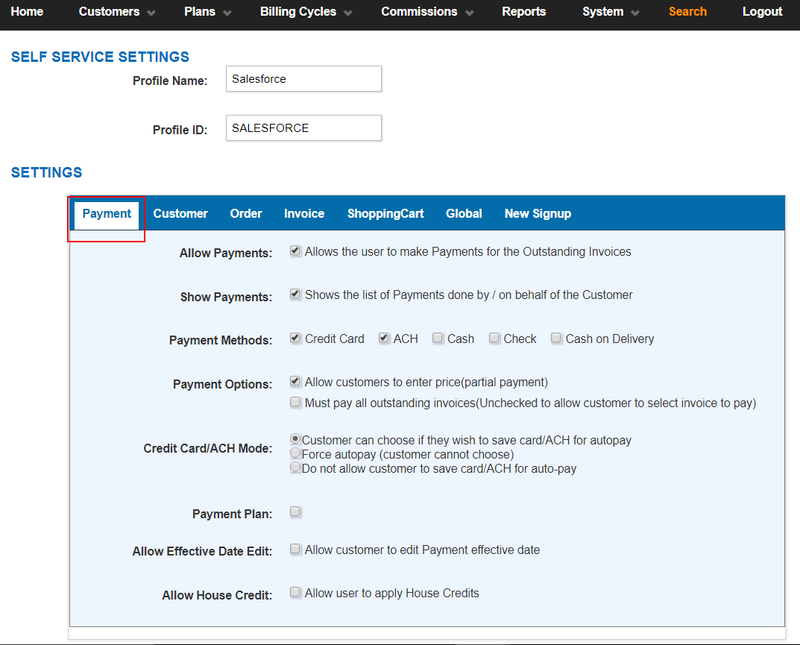 Customer can update details before proceeding to make the payment if they select 'show profile after login'. If not the customer can skip this page and directly proceed to make payment by selecting 'skip profile after login'. On this form, enable payment methods that you would like your customer to use for making payments from your webpage. If any of the above payment methods are enabled in the self service configuration page, these payment methods will be available for the users to choose during the order placement. 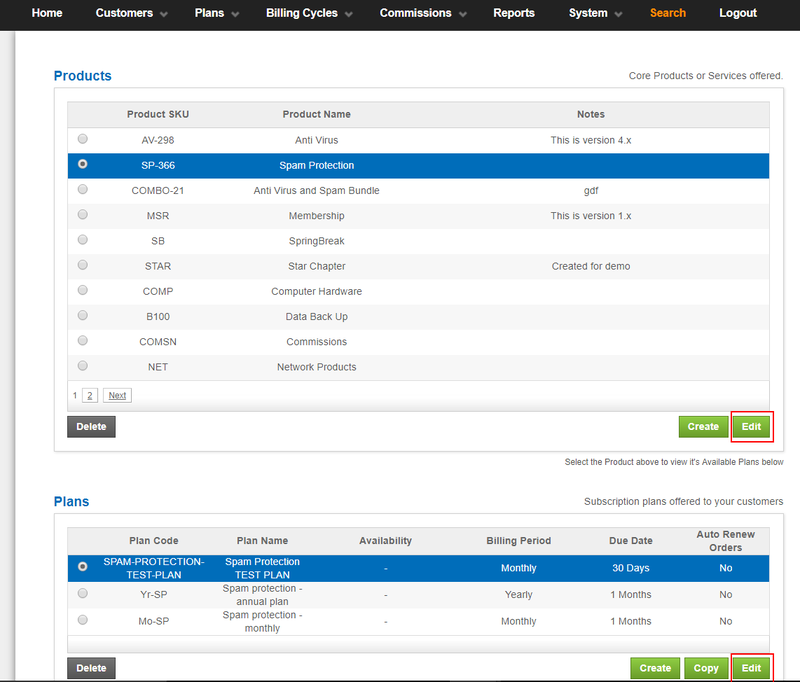 For eg: If 'cash on delivery' is enabled in the self service configuration page, this mode of payment will be available for the customer to choose when the customer reaches payment stage for the product they purchased. 7. 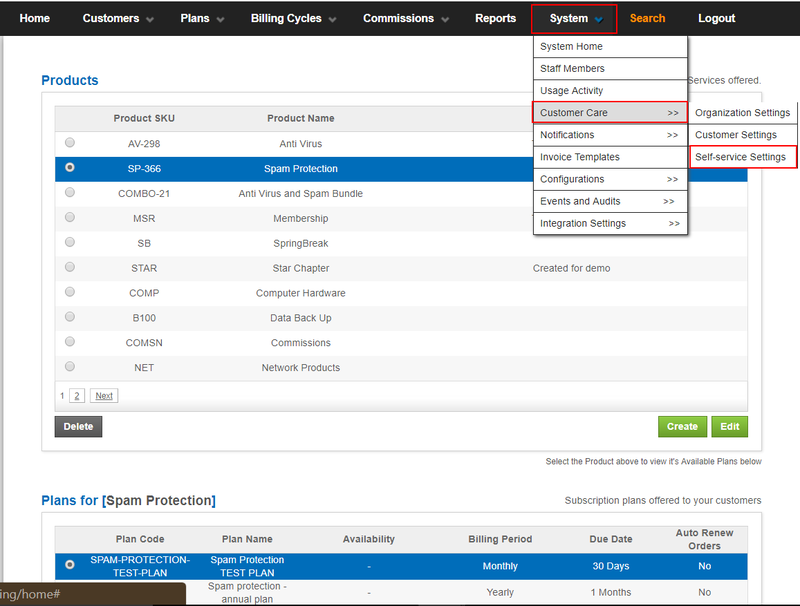 On the same configuration page (System>Customer Care>Self-Service settings), a success URL can be added. This will be the page to which the customer will be re directed to after making a payment.